Smt. Shantaben Haribhai Gajera Engineering College have huge workshop building having built-up area 500 Sq.m., enhances the beauty of the College Campus. The Workshop have sections with well equipped latest machinery like Machine Shop, Welding, Fitting, Carpentry / Pattern Making, Foundry, Smithy, Plumbing, Sheet Metal with skilled and qualified Instructors. The Workshop imparts basic knowledge of various hand tools and machines and their usage in different sections of manufacturing. 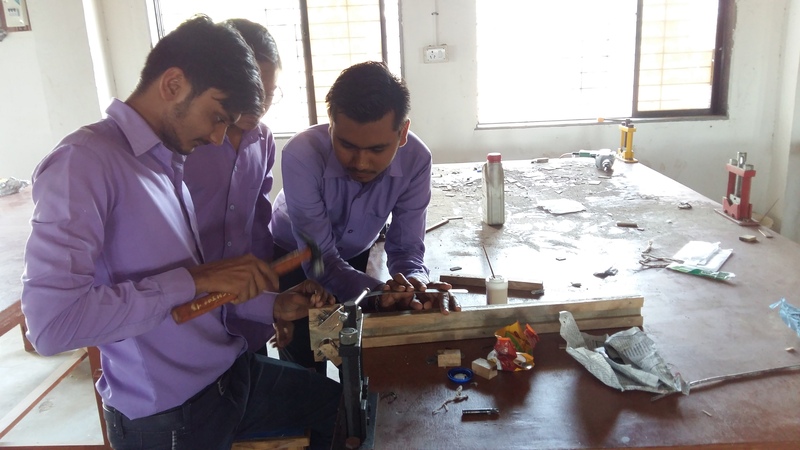 The Workshop is used by first and second semester students of all branches while mechanical engineering students work in manufacturing process subject during second, third year and forth year. The workshop has around 25 tables for carrying out various job works. The workshop is also equipped with all the measuring instruments, various hand tools and safety apparatus necessary for precise and safe working environment for manufacturing processes.